This blog is all about crafts! 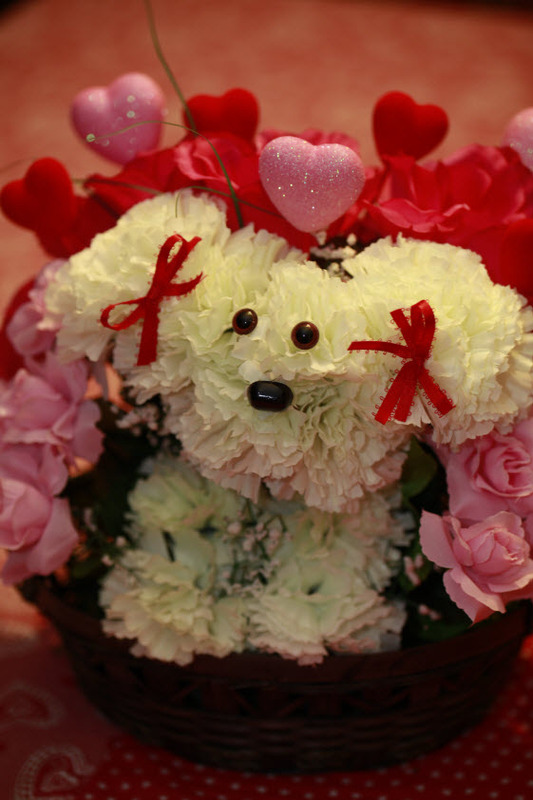 You are currently browsing the tag archive for the ‘valentine puppy bouquet’ tag. 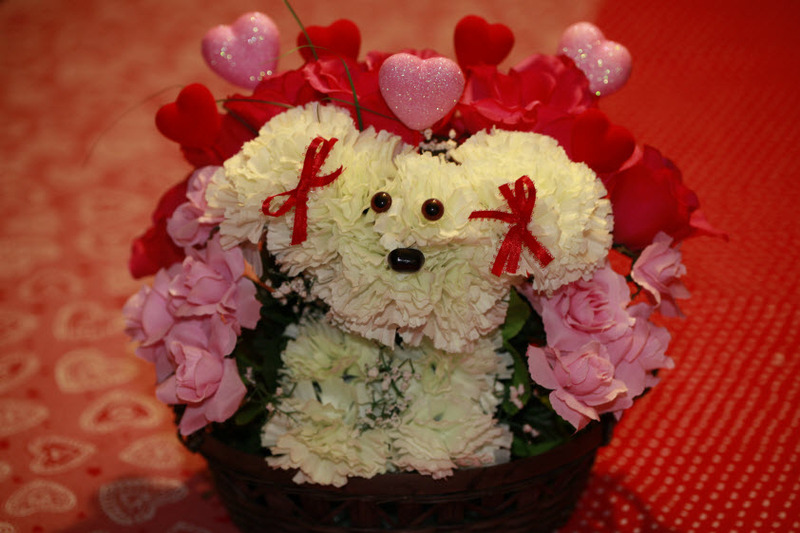 Per a blog reader’s request, I made a Valentine’s Puppy Bouquet. I love it! I received an email a couple of years ago of this florist shop somewhere in Asia that made puppie bouquets. They were so adorable! After much shopping at several dollar stores, I found the perfect artificial flowers to make puppy bouquets. I also picked up some mini costumes meant for stuffed bear toys and a few wicker baskets. I ordered the eyes and noses from an online retailer.